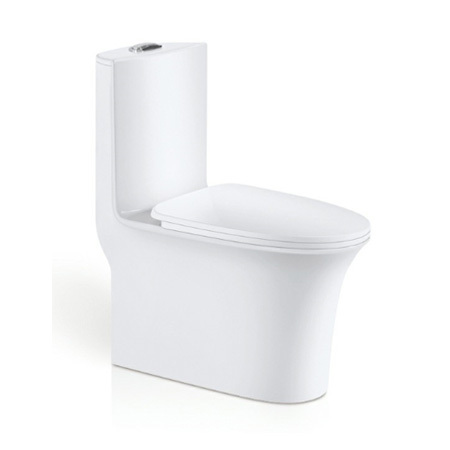 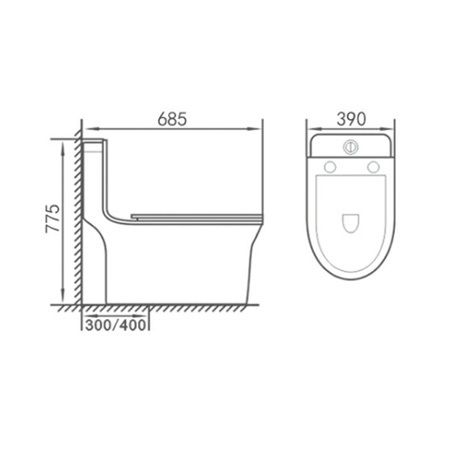 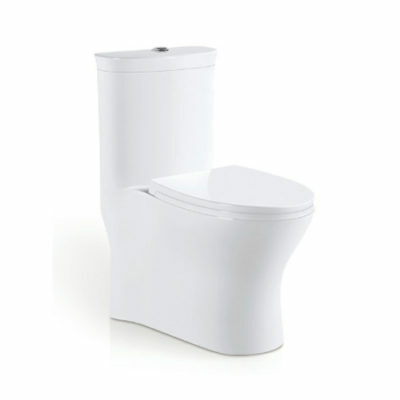 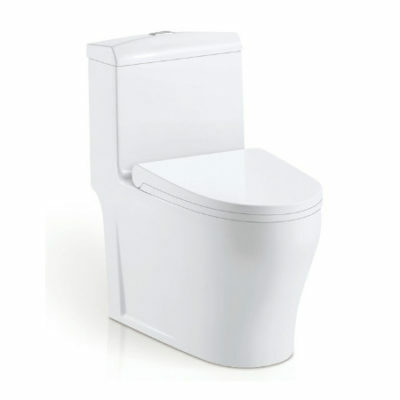 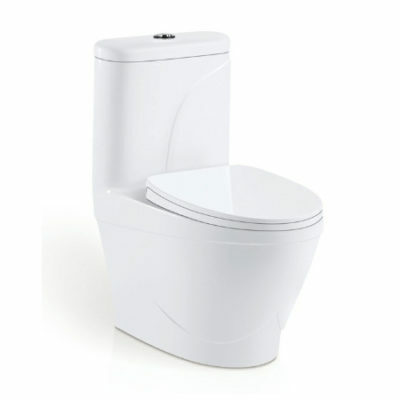 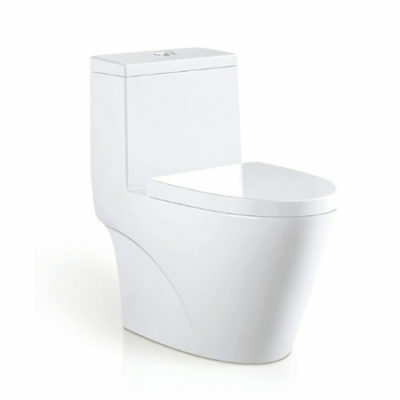 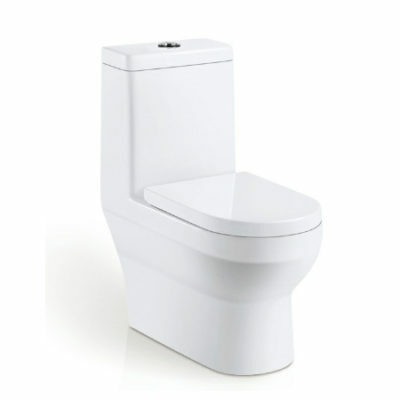 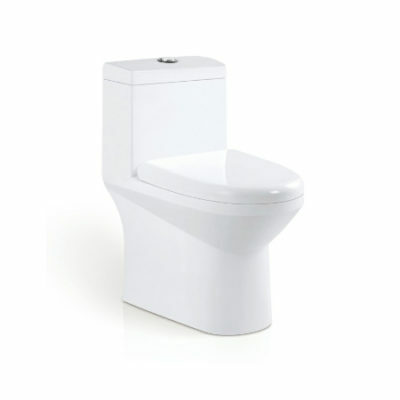 In the middle of the price range, this high profile one-piece toilet has a modern design. 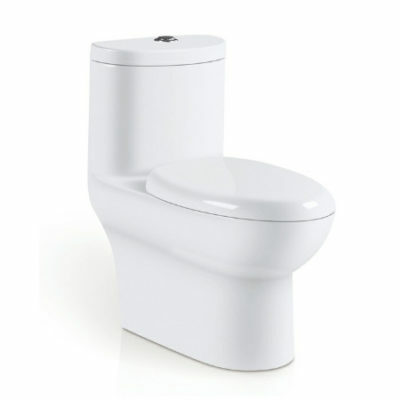 It has a chrome plated trip lever and an elongated bowl. 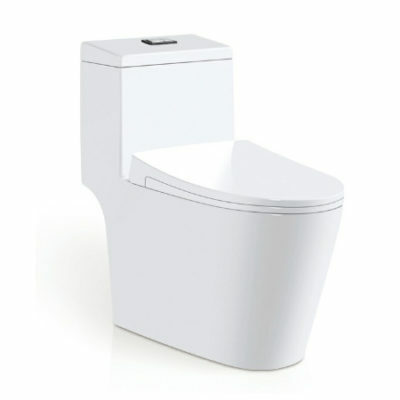 It is available in the cotton white toilet. 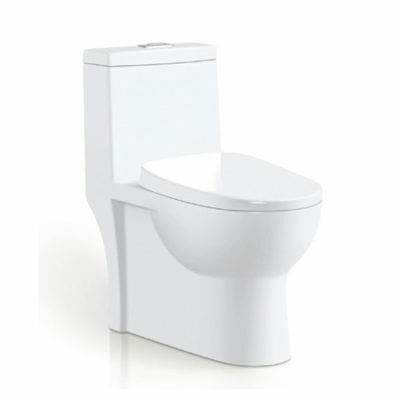 The toilet has a large water surface which helps to dispel odors.